My story is The Inspector Winsford murder mystery. There are other Winsford mysteries brewing but I’m glad to have the opportunity to publish this one. The idea behind this book was to produce a platform for us to promote our work to more readers, even though we’ve never met each other. As you can see from the stories above there is a wide range of genre and it’s a great way for you to get to know some new authors. The book is available free from some outlets. At the moment it is £0.99 from Amazon UK and $1.52 on Amazon.com. Here’s a link to the Amazon site. At the moment it’s available as an ebook but it may be available as a hardback in future. 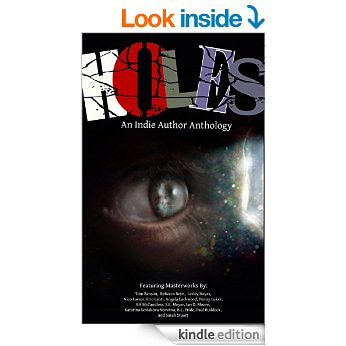 So if you enjoy varied short stories why not give ‘Holes’ a read. I hope you enjoy it.